Animals A-Z: Poems for Early Readers is a different kind of alphabet book. What makes it different? The animals chosen are familiar and unfamiliar, the rhymes include information about the animals, they can be easily memorized, the vocabulary is specifically for early readers, and then, the bold illustrations are unique. This book is great for early readers but also for older children who might want to research an animal they know little about such as Vully the Vulture or Slothy the Sloth. 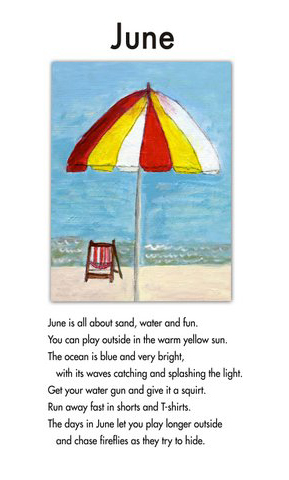 The overall theme of this book is: Teaching the alphabet and early reading strategies through the use of poetry, repetition, memorization and boldy painted illustrations. The animals used in the book become a part of the theme too as subjects to be further studied in social studies and science. This book takes place all over the world. There are animals from the forest to the jungle, to the barn yard, and to the mountain tops and under the sea. The main characters in the book are the animals starting with letters of the alphabet. 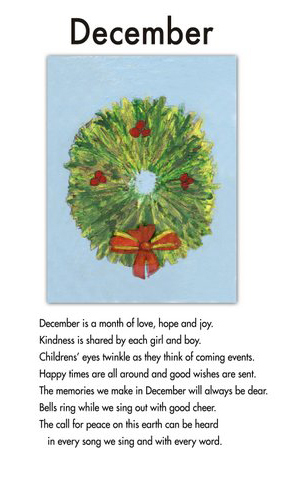 They develop personalities through the poems read to young children. Also, they become personal to the children who read about them all alone in an early reading experience. 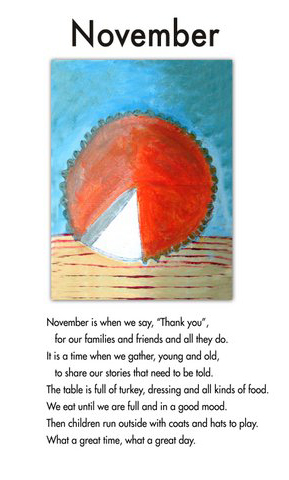 My over 3 decades of experience with teaching young children, led me to write this book for early readers. The vocabulary was chosen from an early reading word list. 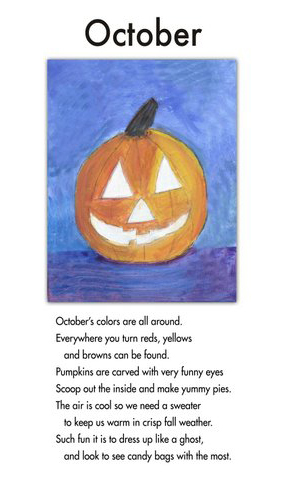 I did the illustrations in bold colors and large sizes as I know from personal experience; this is what little children like to see. 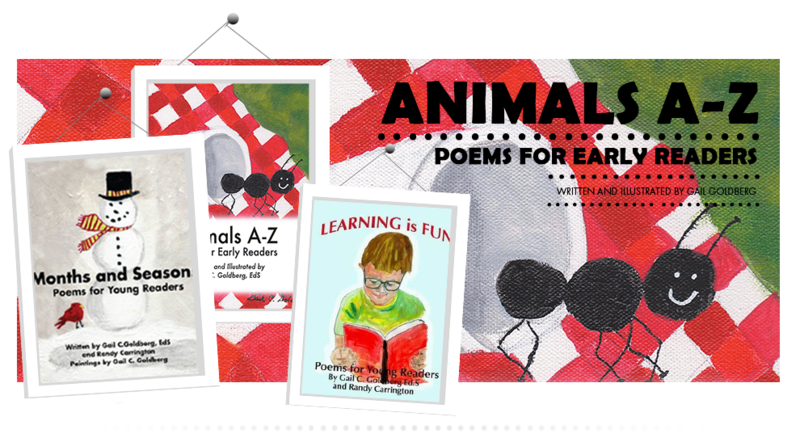 Animals A-Z: Poems for Early Readers will be a helpful tool in teaching young children to read. 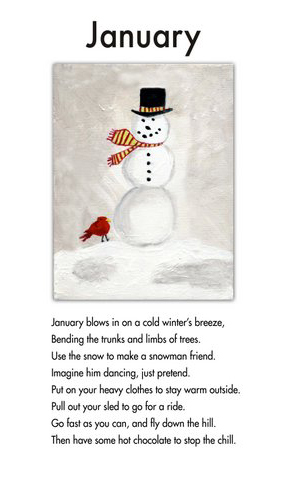 The elements of rhyme, repetition of sounds and possible memorization all come together for successful early reading. Come with Anty Ant, Quaily Quail and Zeebie Zebra into an alphabet book like no other. Goldberg’s line of products is being developed now. Already available are giant prints in sizes 13×19, 8 1/2 x 14, and 5×7. 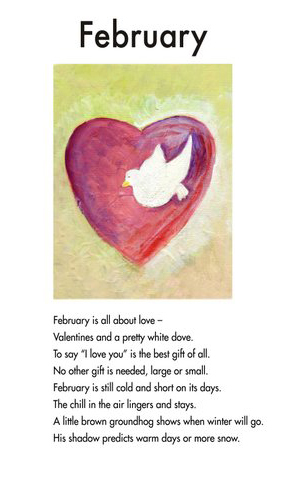 Contact Gail at gigiconsulting@aol.com for ordering any of the poems and paintings from Animals A-Z: Poems for Early Readers. ROSWELL, Ga. – Outside of a classroom setting, most people would not consider reading to be a group activity, but on Nov. 6, Roswell resident Gail Goldberg proved that notion wrong.Goldberg, a retired kindergarten teacher, is now a volunteer for Therapy Dogs International. TDI hosts a program called Tail Waggin’ Tutors that promotes literacy in children by allowing kids to read books to therapy dogs. 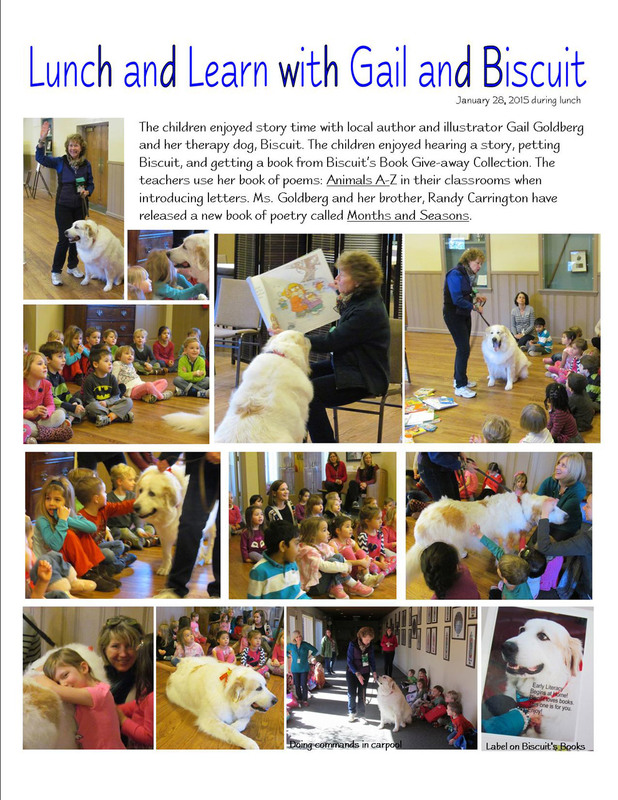 Paired with her Great Pyrenees partner, Biscuit, Goldberg helps children throughout Georgia to improve their reading abilities.Learning to read is a challenge for many children, and the stress of reading aloud in a cla ssroom can be counterproductive to a child’s self-esteem. It takes a special kind of animal to be a therapy dog, and Biscuit’s story is an inspiring one. Biscuit was abandoned in the back of an apartment building in Tennessee at the tender age of 4 months. She was tied to a tree and left with little food and water. A neighbor heard her cries and called animal rescue services. From there, Biscuit went on to live in different foster homes throughout Georgia before residing with Goldberg and her husband; the couple instantly noticed Biscuit’s loving and magnetic personality. Goldberg had a professional U.S. Customs canine trainer work with Biscuit for seven months before submitting her for the therapy dog test at Therapy Dogs International. Biscuit passed with flying colors and joined Goldberg in her mission to help children with their confidence in reading. Goldberg and Biscuit accomplished quite a goal when they visited Sheltering Arms Early Education and Family Center in Marietta Nov. 6. Handler and dog went to each classroom full of children, acquainting the students with the colossal canine that weighs in at 140 pounds. Despite her intimidating size, the Great Pyrenees is an incredibly gentle giant. Biscuit inspired smiles amongst the children as they approached to pet her. Together, Goldberg and Biscuit make a wonderful team and will continue their mission of improving child literacy. 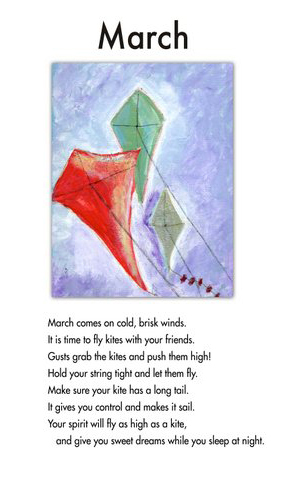 To learn more about Goldberg’s work, visit www.gailgoldbergbook.com. 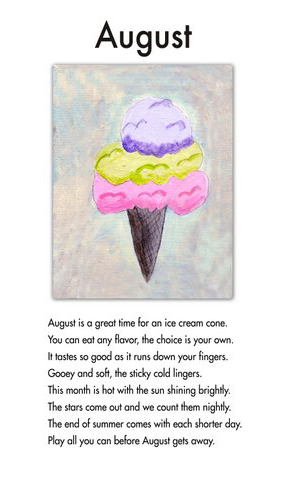 Sister-Brother Team Gail C. Goldberg and Randy Carrington joined together to write a third children’s book – Learning is Fun: Poems for Young Readers. 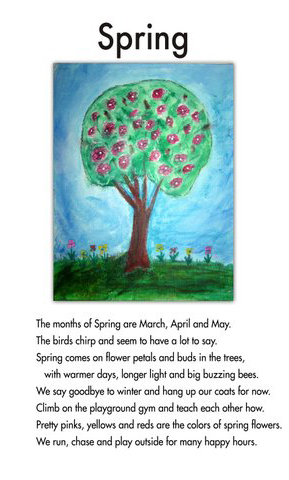 This book is beautifully painted as are the other two: Animals A-Z: Poems for Early Readers and Months and Seasons: Poems for Young Readers are. 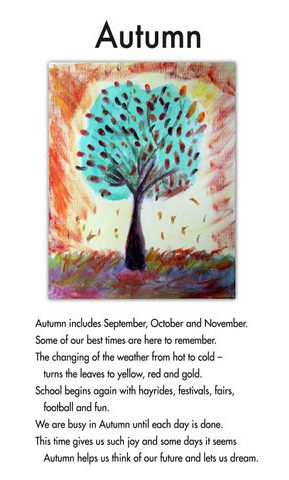 Colorful images of Gail’s grandchildren and neighbors came together as Gail and Randy worked in tandem drawing and painting. 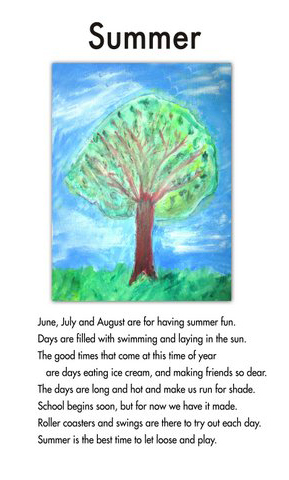 The sixteen topics included in this book are ones in early childhood classrooms. 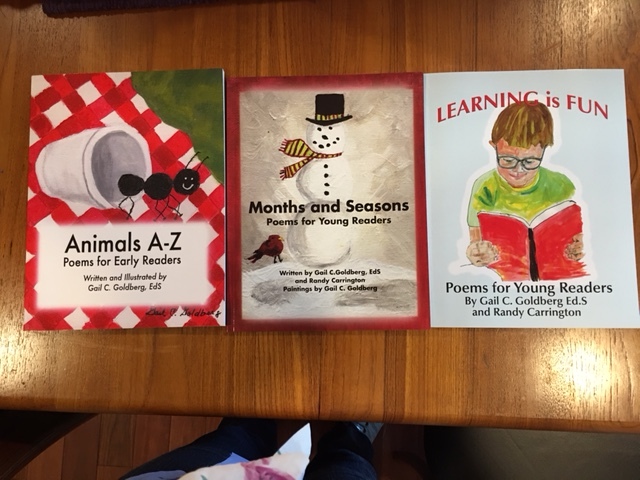 Learning Is Fun: Poems for young Readers makes a great addition to Gail’s and Randy’s previous books. Dedicated to Gail’s and Randy’s sons, their spouses, 8 grandchildren and all of their friends, relatives, their sister, Ellen and Gail’s husband who encourage them to complete this project. 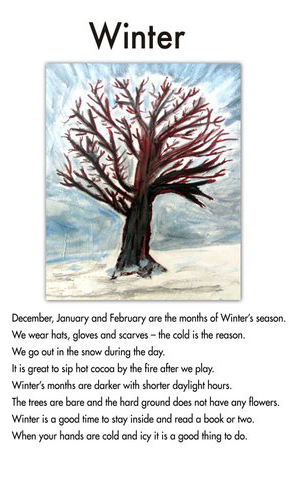 Months and Seasons: Poems for Young Readers. Good news! Gail had booths at two recent book Festivals: ” Decatur Book Festival” and “Book Mark Festival” in Winston Salem, North Carolina. 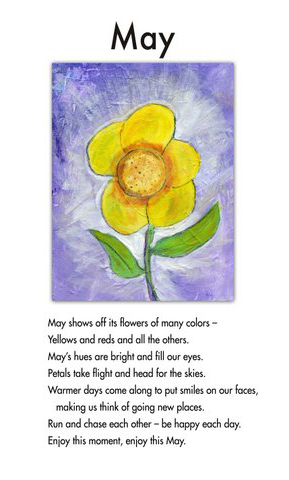 Her giant prints for ANIMALS A-Z: Poems for Early Readers have become very popular with teachers and media centers. Now, the giant prints are being sold in the MOONPIE COUNTRY STORE in Pigeon Forge, TN. This is exciting for Gail and others. 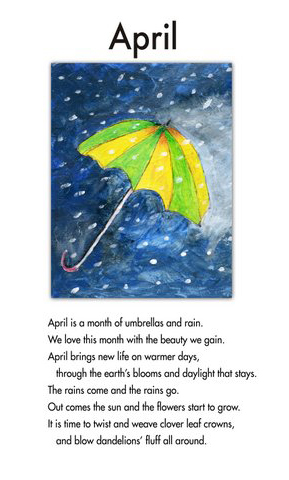 Now, we have a new book coming which Gail wrote with her brother, Randy – - MONTHS AND SEASONS: Poems for Young Readers. This book has the same format as the first book with 8 lines of poetry followed by a painting. 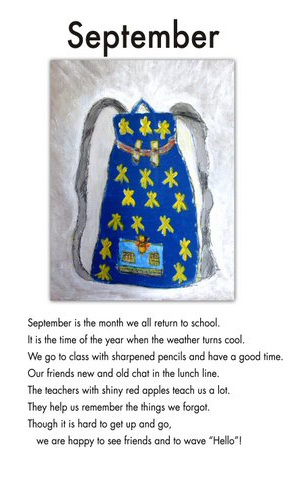 The book has a softer feel to the paintings and again is a teaching tool. Congratulations to Gail for her recent success with her books. 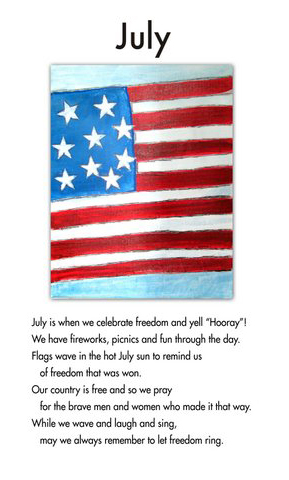 Copyright © Gail Goldberg | All rights reserved 2014.